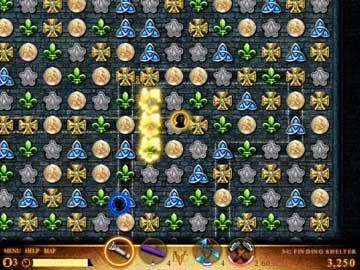 My Family Fun - The Da Vinci Code Two exciting game modes: Story and Chase Mode the feature movie! Two exciting game modes: Story and Chase Mode the feature movie! The DaVinci Code is a Match-3 puzzle game that explores the mysteries surrounding a murder, unusual antiquities, and a series of cryptic messages. 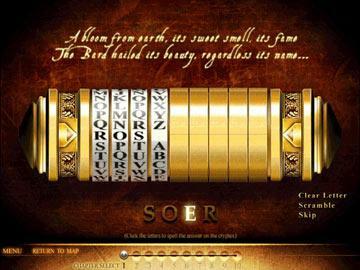 On this puzzling journey, the object is to match three or more identical tokens to score points, earn powerful tools and reveal an escape path. Lead your character through dark corridors and old European streets, avoiding patrolling policemen and staying ahead of a mysterious, vengeful enemy. 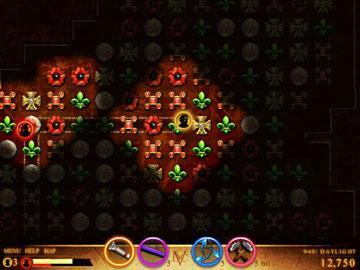 Use power-ups to help bring light to dark places, clear entire rows of tokens and dreaded obstacles from your path, or to merely shake things up. Play in the investigative Story Mode or the breath-catching Chase Mode. 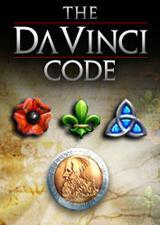 Win levels to uncover clues that will bring you closer to solving the bigger mystery - The Da Vinci Code! A prequel to the events in the feature film! 90 thrilling levels in Story Mode. 10 Cryptex riddles and 10 meta puzzles to solve. An epic Da Vinci-inspired story.